hearthesilence wrote: He had the potential to make groundbreaking dance-pop on the same level as Michael Jackson's Off the Wall, but unfortunately FutureSex/LoveSounds turned out to be a peak rather than a harbinger. Never saw that kind of vision in him. He does enough to stay on the radar but he's hardly transformative. An unreleased album is coming this September, and possible some videotaped performance(s) of some kind. 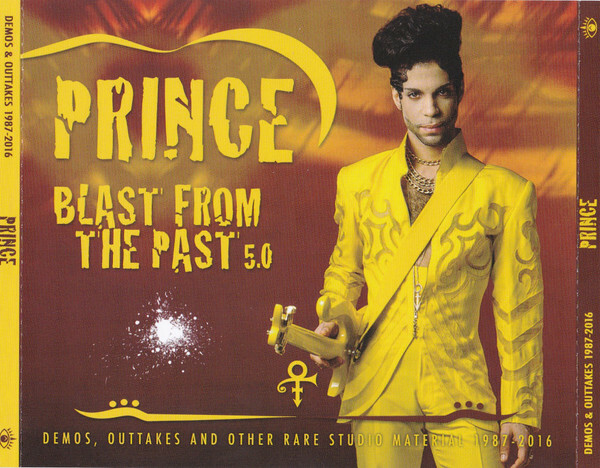 Been enjoying the Blast From The Past series; most are 4 disc sets of outakes, extended versions of previously released/album versions and anomalies. 4.0 & 5.0 are standouts. Old news now, but that album will be an informal solo piano & vocal recording from 1983. Unfortunately this recording has been circulating since the '90s, so nothing really new. At least it's in better quality (though it sounds like it's sourced from a cassette, which may be how it was recorded). Forgot to mention this in my Showgirls post, but I was impressed that not only did it have a good Bowie track ("I'm Afraid of Americans," apparently as a rough mix of a recording from the Earthling sessions - the song would become an official Bowie release two years later), it also had TWO Prince tracks, the best of which was "3121" which appeared on The Gold Experience. I'm not alone in thinking it's a great album, but unfortunately its release was marred by his struggles with Warner Bros. and it fell out-of-print for decades. It was eventually put out on Tidal's streaming service but now Sony has agreed to re-issue it this year as part of a distribution deal that includes 19 previously released album titles originally released between 1995 and 2010. Other titles to be reissued this year: the excellent Emancipation, the mediocre Rave Un2 The Joy Fantastic (keepers: "Prettyman," "The Greatest Romance Ever Sold," "Baby Knows"), the awful The Rainbow Children (keepers: "The Work," "She Loves Me 4 Me") and the excellent 3121, as well as titles originally distributed by Sony including the very good Musicology and somewhat lackluster Planet Earth (keepers: "Chelsea Rodgers," "Guitar," "The One U Wanna C"). Additional album titles from the 2014-2015 era will also be distributed with worldwide rights under the deal in the future. The pedantic in me feels the need to comment that "I'm Afraid of Americans" was originally written and recorded for Bowie's 1995 album Outside, so the "rough mix" you're referring to probably came from the sessions for this album, not the later Earthling. Thanks for the Prince news! YES, you are right, they used a recording from the Outside sessions, and I actually typed that but I must have made a cut-and-paste mistake when I re-edited that line for clarity. Honestly, how many films prominently feature a good Bowie AND Prince track, and not in a superfluous way? Last edited by hearthesilence on Wed Jun 27, 2018 12:16 pm, edited 1 time in total. Ugh. Have to wait at least three years to get a remastered Sign O’ the Times. Didn't they reissue it on vinyl recently? I thought those recent Rhino/WB vinyl releases were supposed to sound great. I haven't heard them myself, but I know Purple Rain was done on high quality vinyl from the original masters and by a really good cutting engineer. Anyway, I wouldn't wait for a remastered digital release - chances are, they're going to compress the hell out of it. I'm hoping I'm wrong but just look at that deluxe 3-disc reissue of Purple Rain - a great package, but the mastering is terrible. Last edited by hearthesilence on Wed Jun 27, 2018 12:32 pm, edited 1 time in total. Just checked, it was indeed reissued AND remastered, back in 2016 and it's still available everywhere. The mastering/cutting engineeer is Kevin Gray, who does a lot of audiophile reissues for Analogue Productions and other specialty labels - he's good, so if vinyl is your format of choice, pick this up. I doubt you can do any better. Thanks for info. But not a vinyl collector. I'll have to wait for the CD if it ever comes. For some strange reason SiriusXM plays only the single edit of "When Doves Cry". If I ever heard it on the radio it was usually the whole song. Certainly the case for the video.